We're bad guys. It's what we do. Excited to see the upcoming Suicide Squad movie? It doesn't look like the movie itself will actually be that good (what's up with that Harley Quinn depiction?) but there is one thing that's come of the movie that's surprisingly good: Its game tie-in app. Suicide Squad: Special Ops from Warner Bros. made its surprise debut a few days ago and it's actually a lot of frenetic, explosive fun. 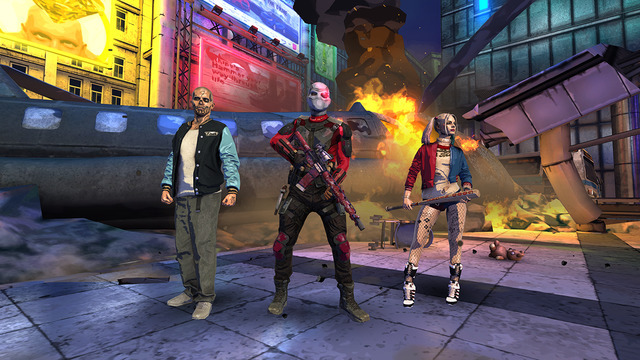 Fight off waves of baddies as they come to take you out as one of three different characters from the movie, including Harley Quinn. Interestingly enough, it's absolutely free and bereft of pesky IAPs or reasons to beg players to spend money. There's no imploring you for extra money if you want to keep playing or anything nearly as silly as that, so not only is it a property that's hot right now, but it's actually worth your time to pick up and play if you're looking for something fun while you're looking forward to the movie. Heck, it might end up being even better than the movie. You never know. Check it out for free and look for a tips and tricks guide in the coming days to help you eliminate as many bad guys as you can. Er, are they even bad guys if bad guys are being sent out to kill them?